On March 8th, the VA announced new changes aimed at improving suicide prevention among veterans in addition to the earlier changes that we reported at the beginning of this month. All of these changes are the result of the VA’s February Summit on veteran suicides. The changes announced March 8 include establishing new standards of care to provide individualized mental health care based on veterans’ symptoms and needs; a new study called “Coming Home from Afghanistan and Iraq” that will examine the effects of combat and deployment on veterans’ well-being, mental health and suicide risk; and increased availability throughout the VA of naloxone rescue kits to prevent deaths from opioid overdoses. The VA will also improve veterans’ access to mental health care with the creation of 3 regional tele-mental health hubs. 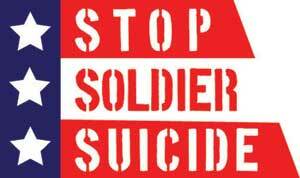 For more information on VA mental health care and suicide prevention programs, visit www.mentalhealth.va.gov/suicide_prevention/.